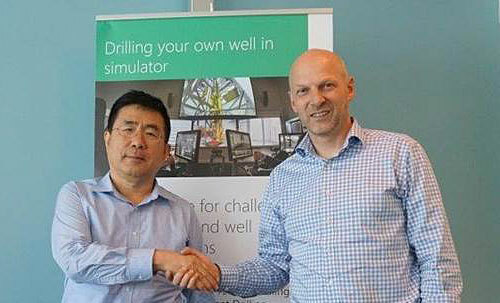 eDrilling, a provider of drilling and well performance solutions, and UIT Solutions, an integrated solution provider, have announced their partnership to support the upstream oil and gas companies in Korea. Both eDrilling and UIT are committed through their partnership to help their upstream customers drill wells safer, quicker and cheaper by providing integrated Life Cycle Drilling Simulation solutions. eDrilling will provide the best in class planning, training, drilling, analysis, and learning solutions, along with UIT’s comprehensive advisory and project management support. “eDrilling is confident that with this partnership with UIT, we are well positioned to provide Korean customers with the right support to better achieve their drilling and well performance goals, and serve their needs as they grow and expand,” says Derek Nadhan, Manager, Technical Services, APAC. “This partnership enables UIT to serve our clients with a wider selection of world class products and services to meet their efficiency and safety needs,” says Steve Kim, Technical Advisor, UIT Solutions.